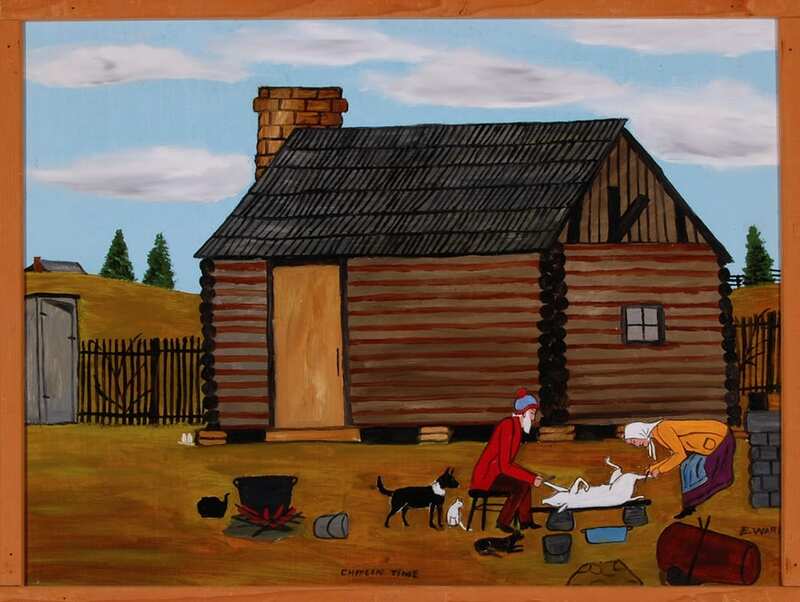 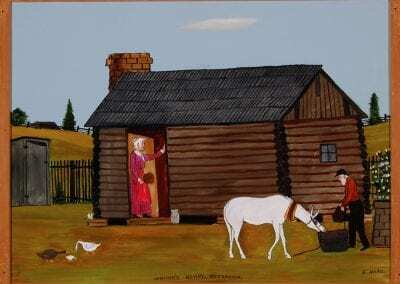 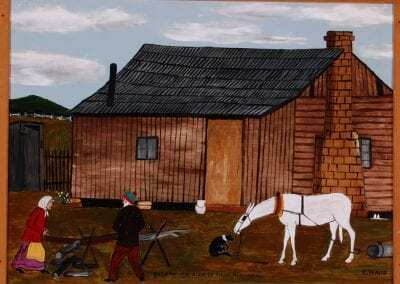 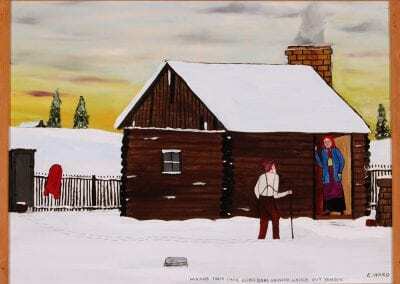 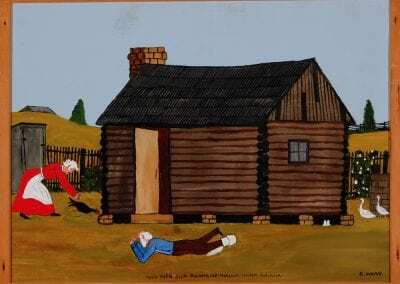 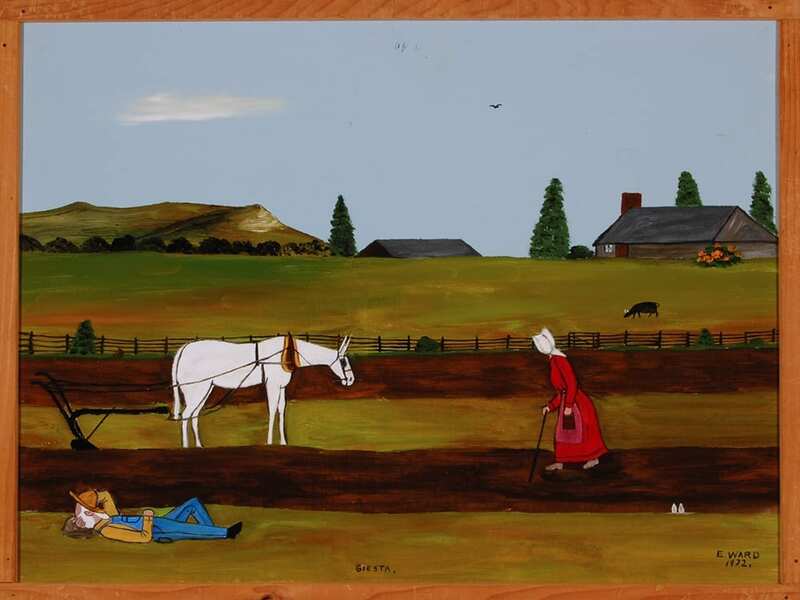 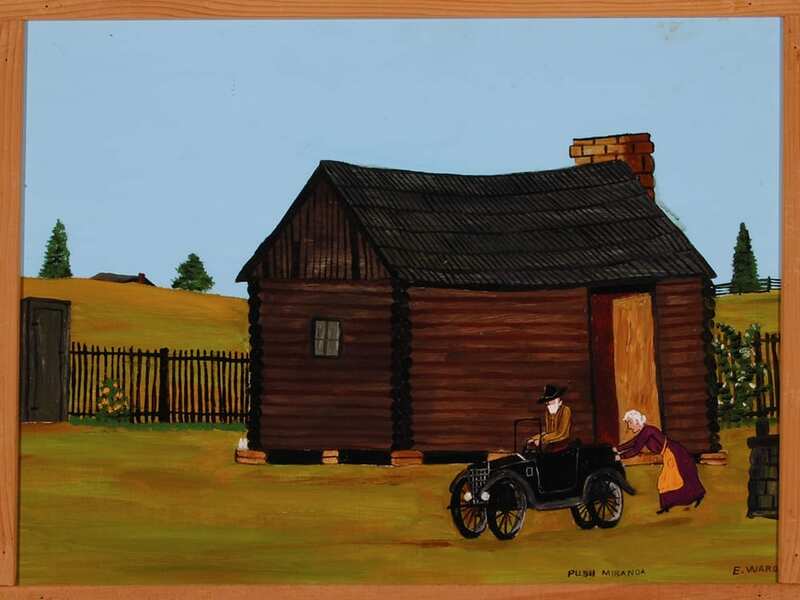 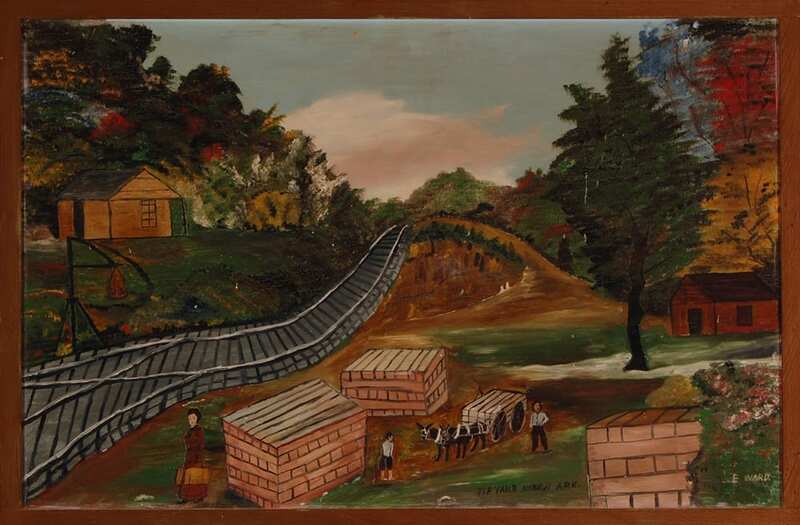 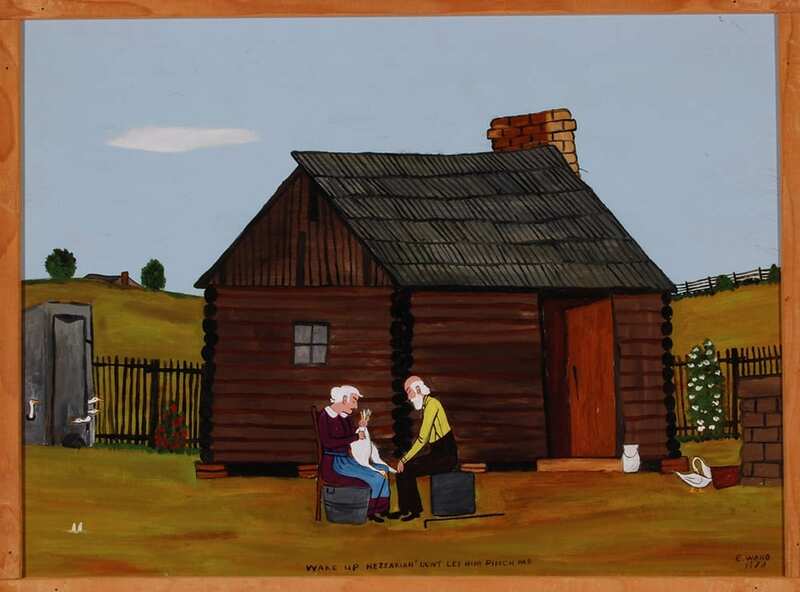 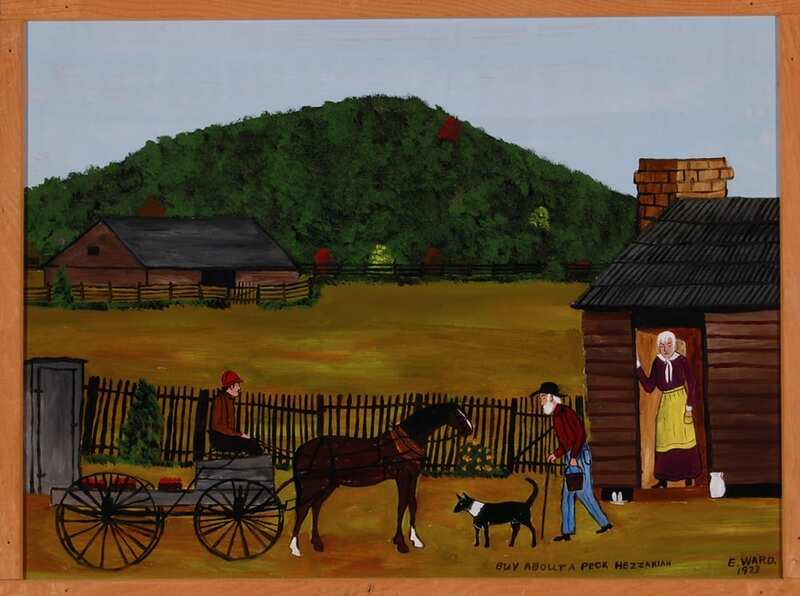 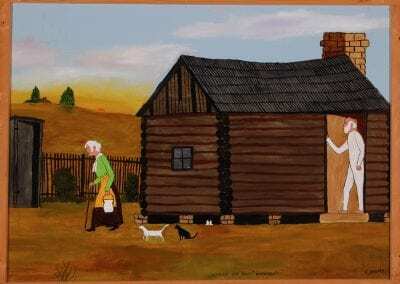 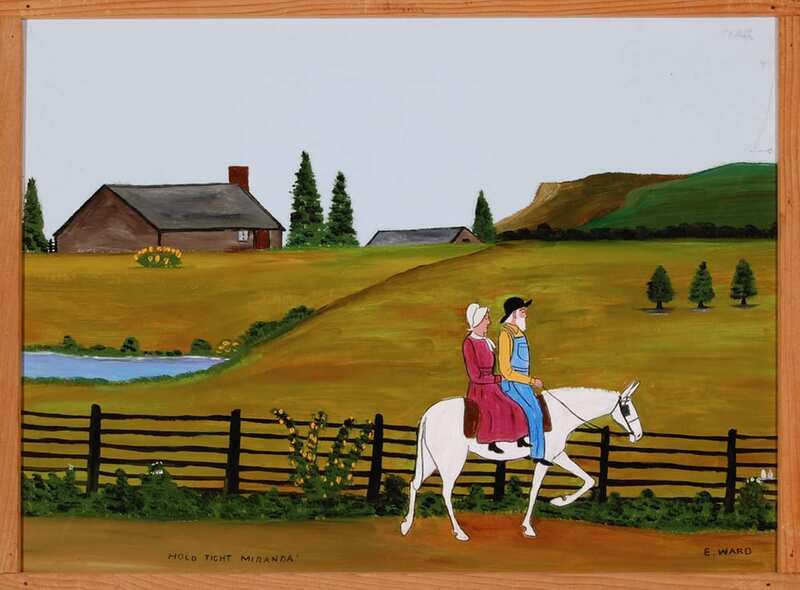 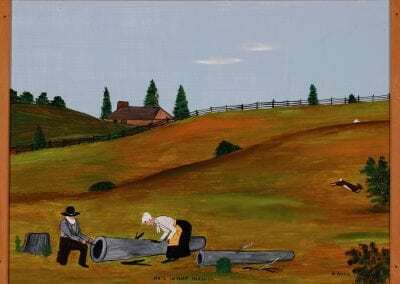 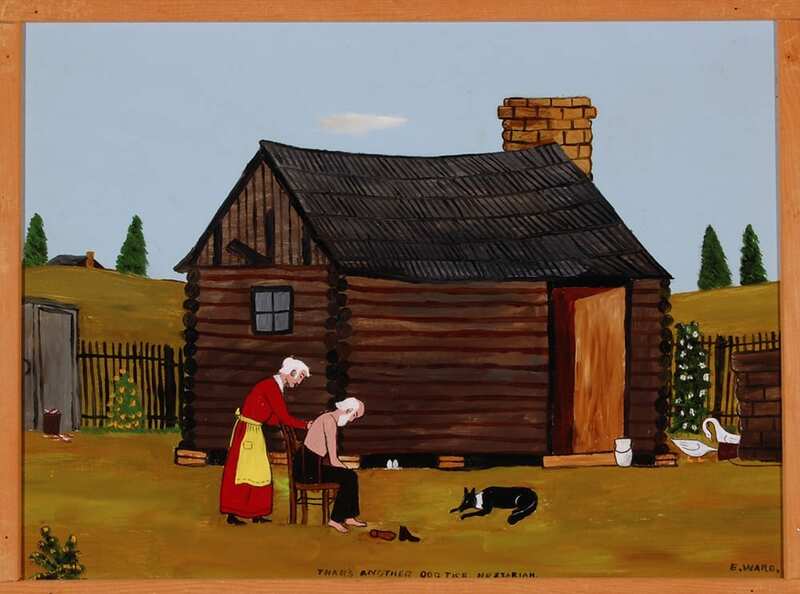 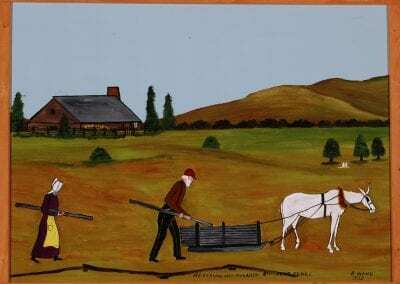 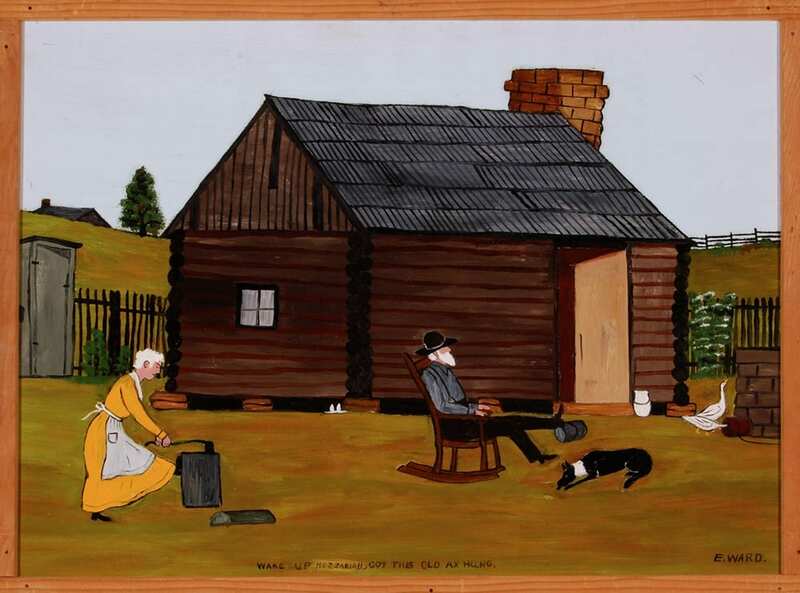 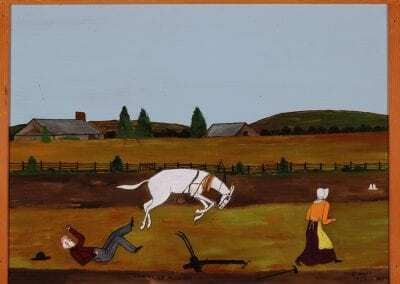 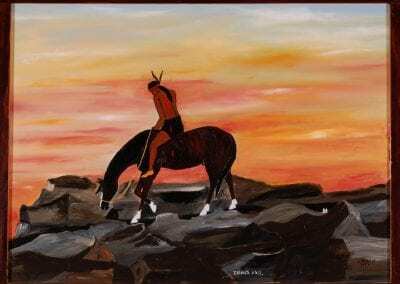 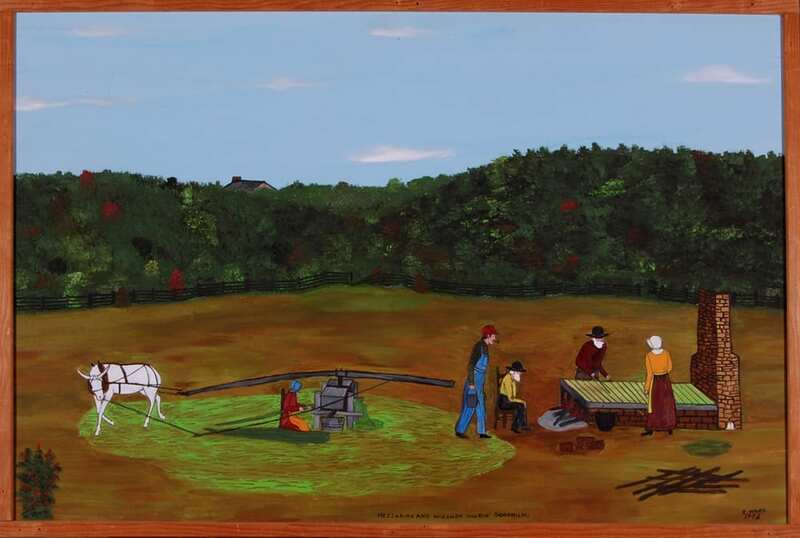 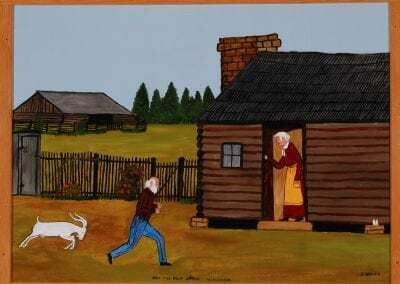 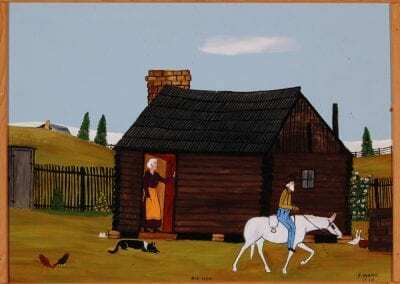 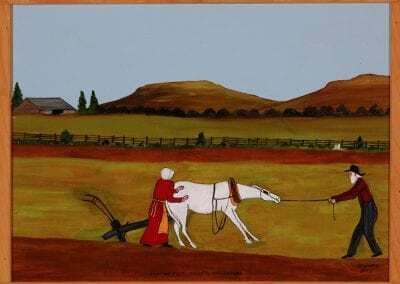 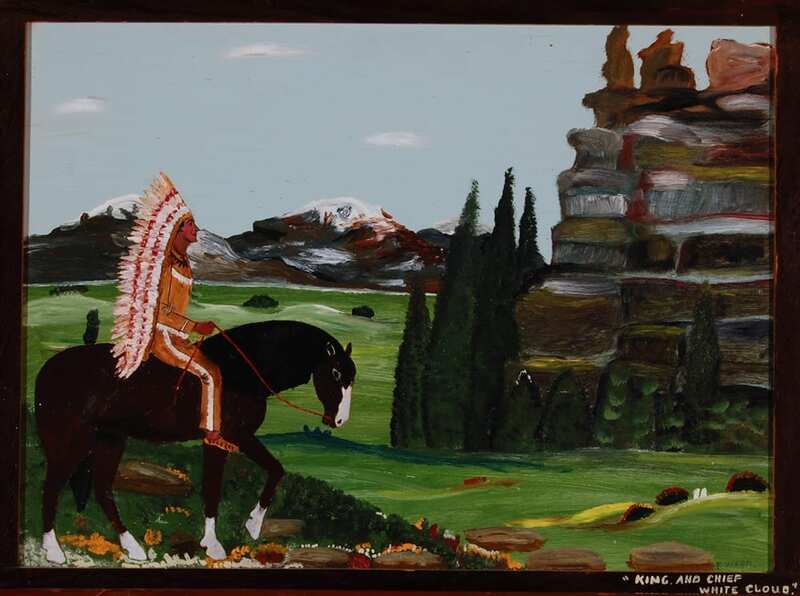 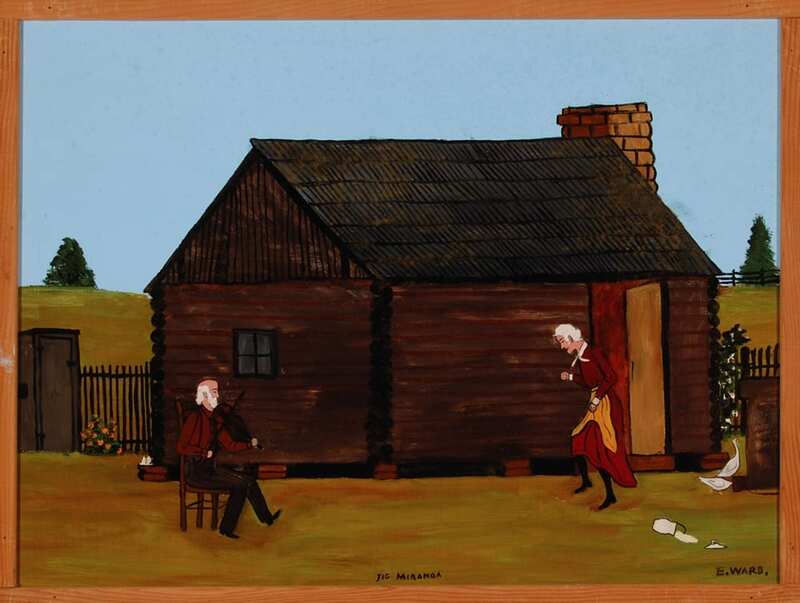 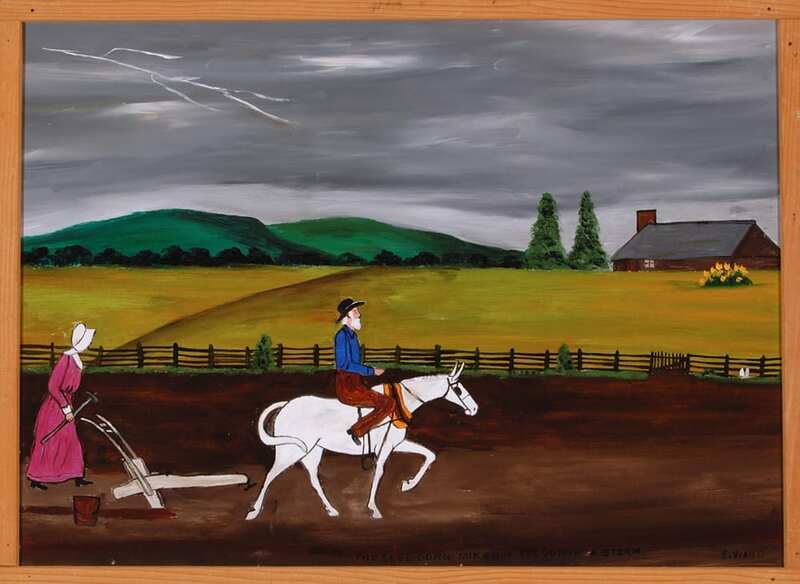 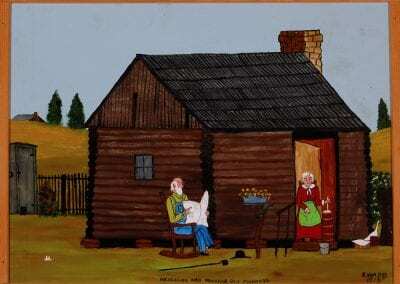 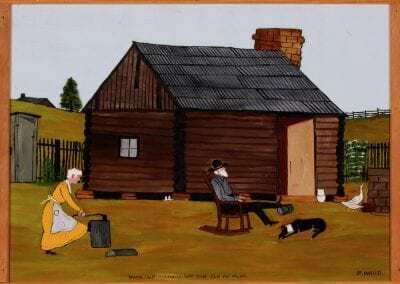 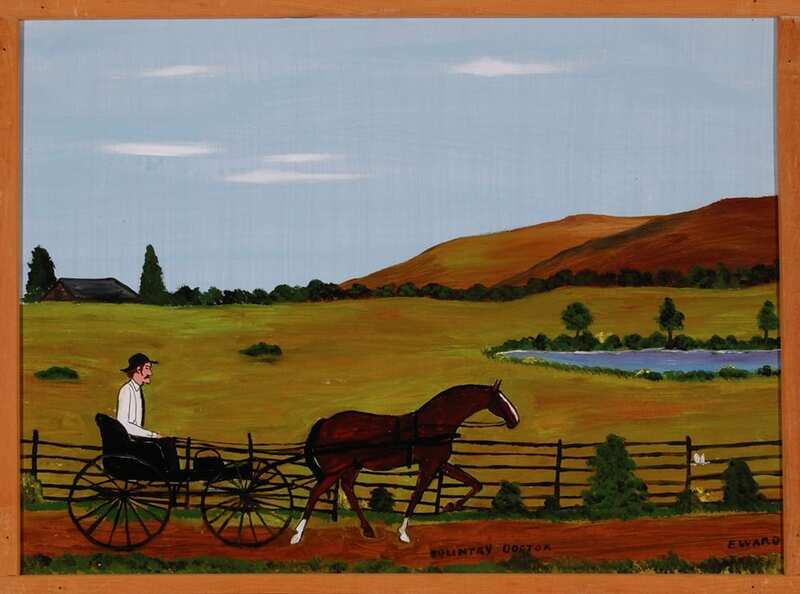 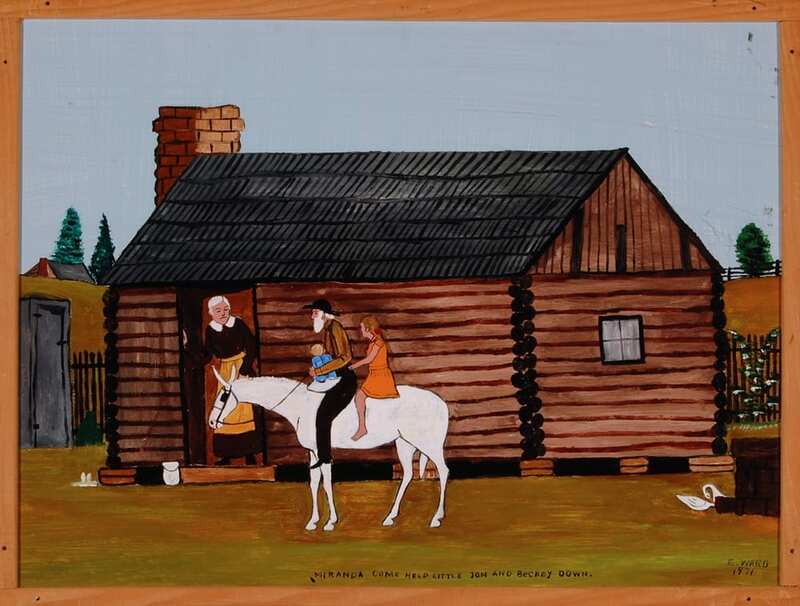 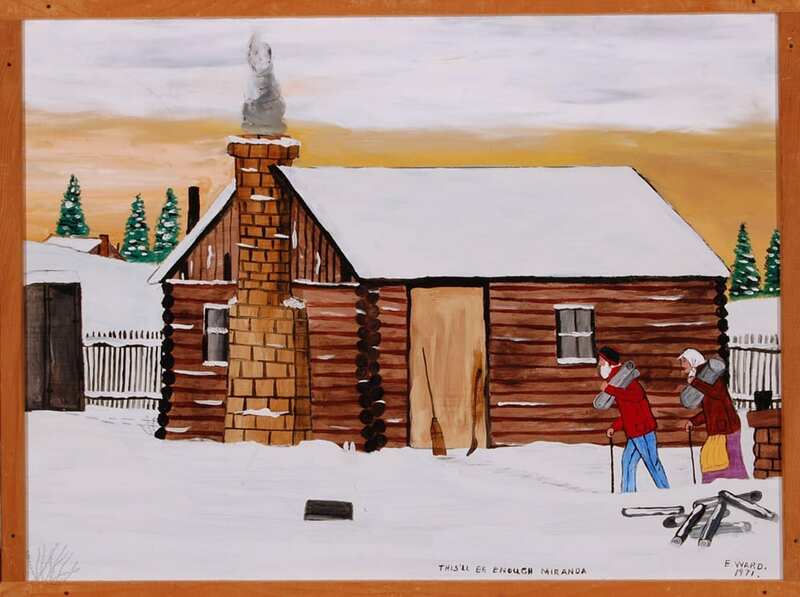 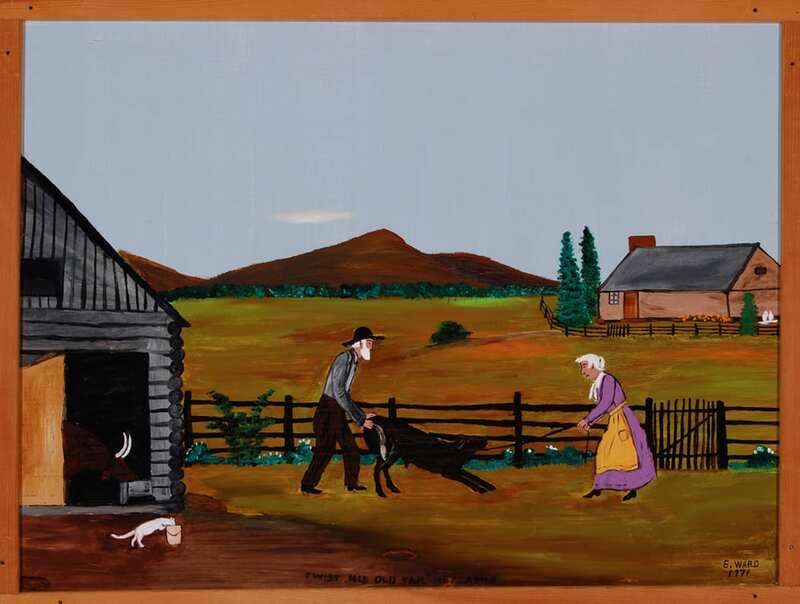 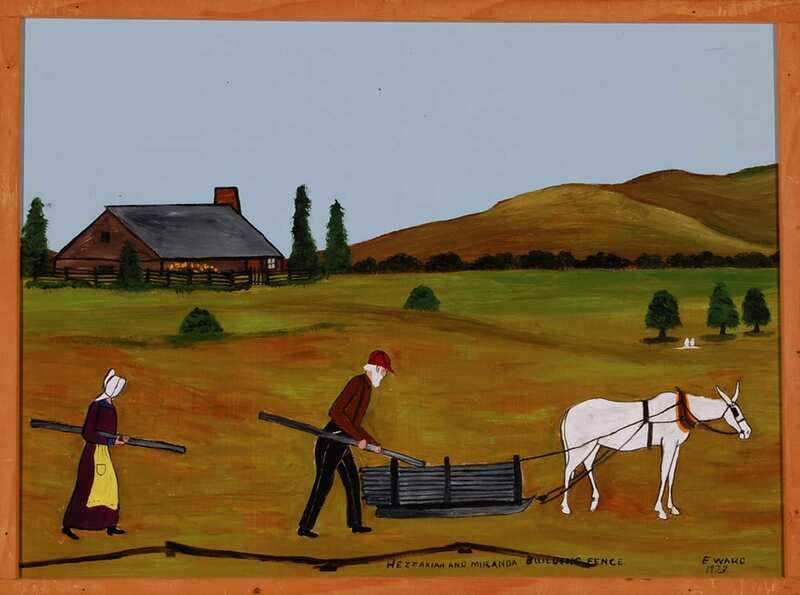 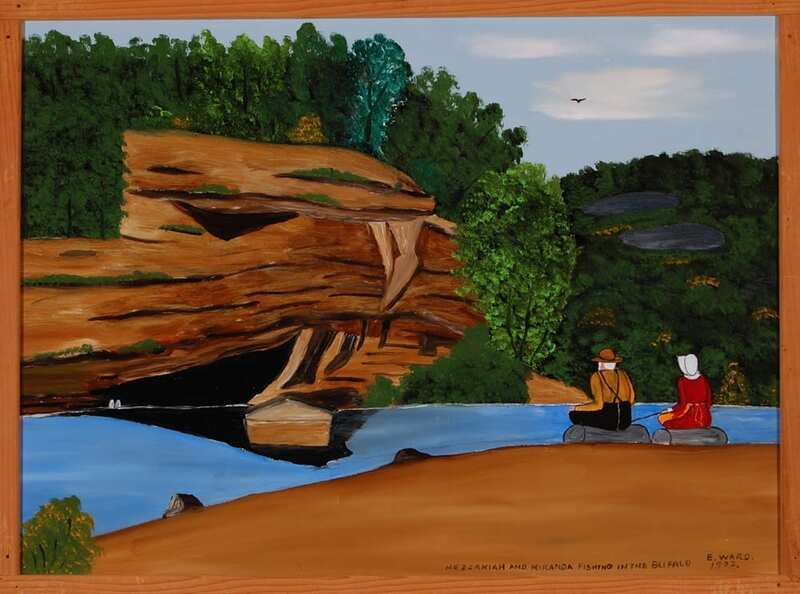 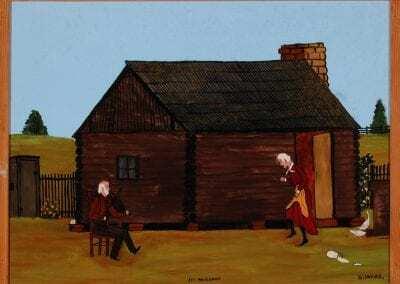 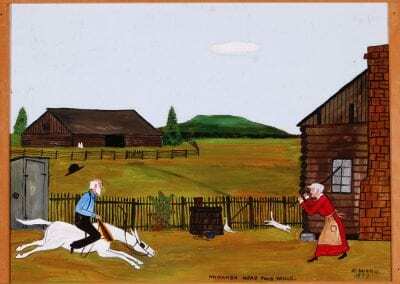 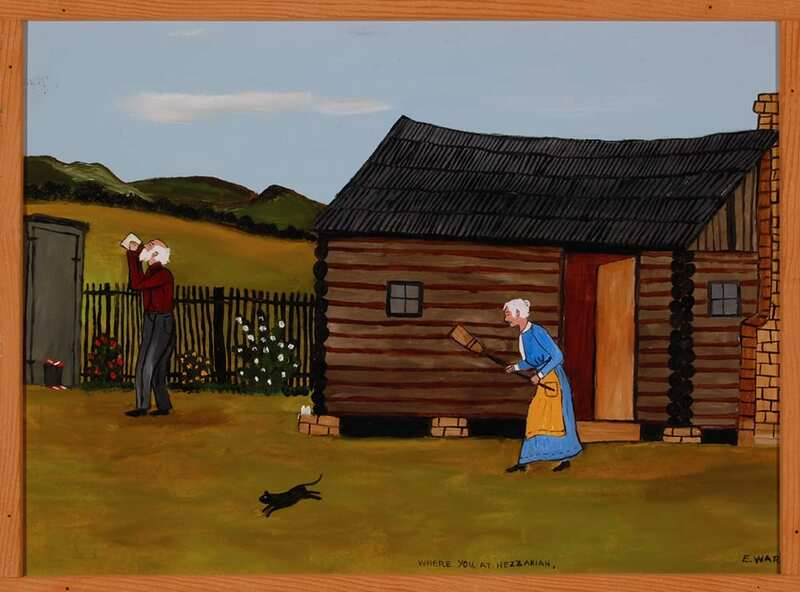 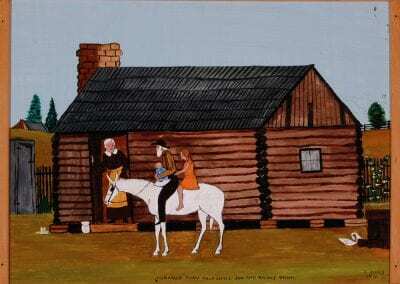 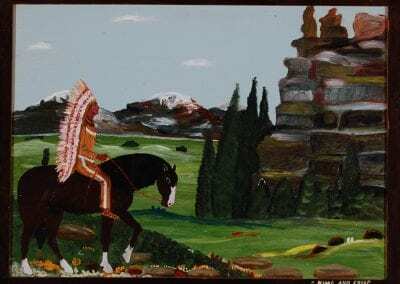 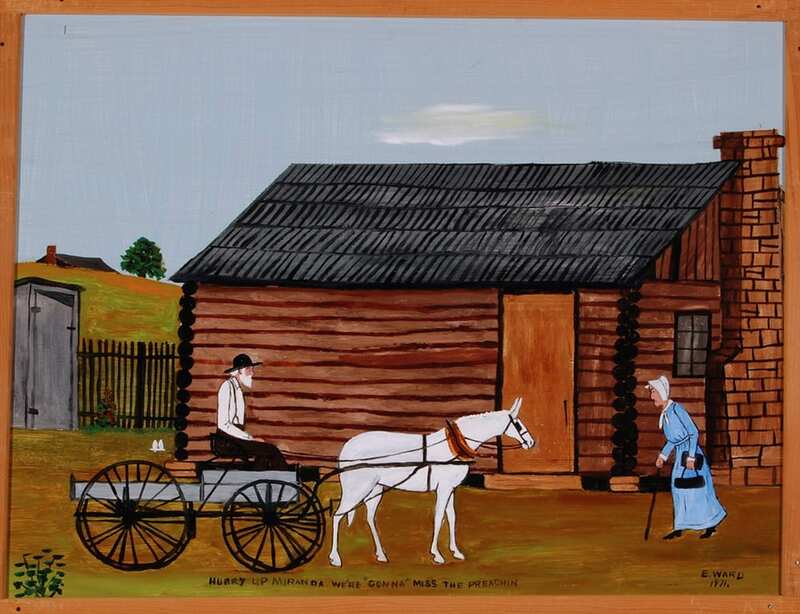 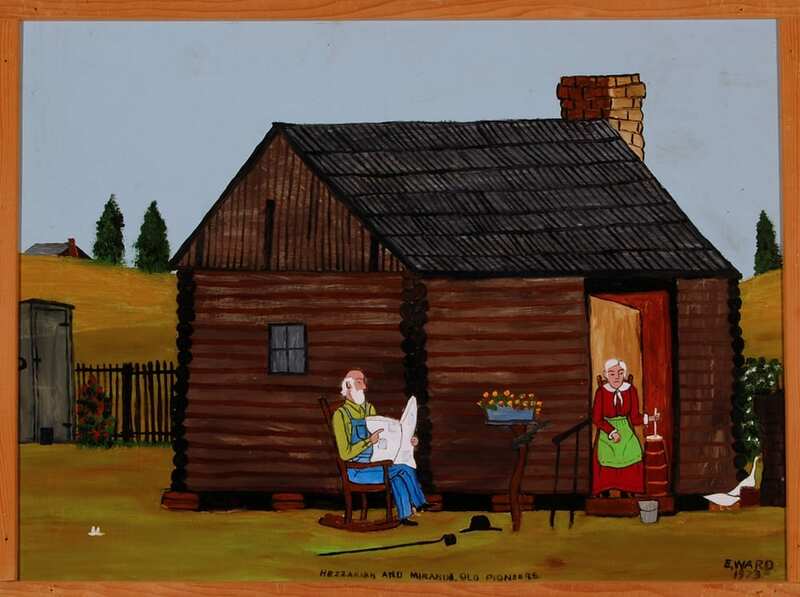 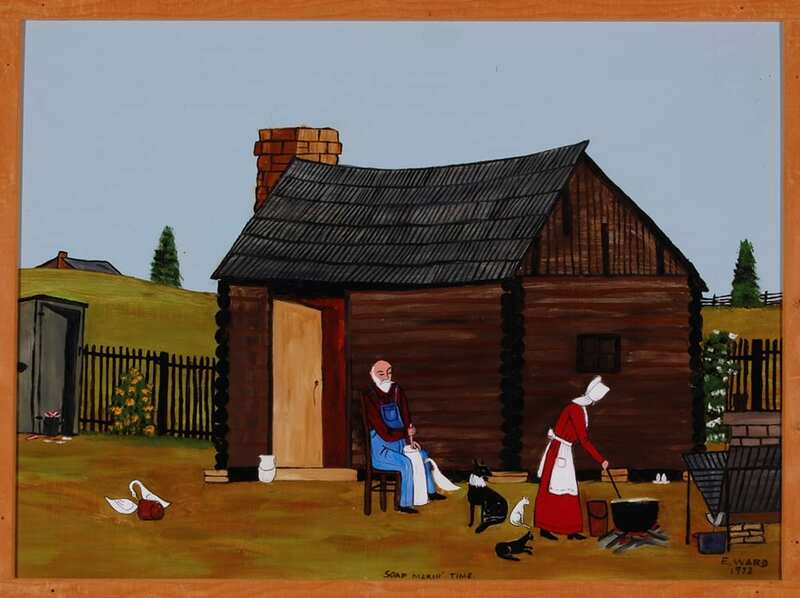 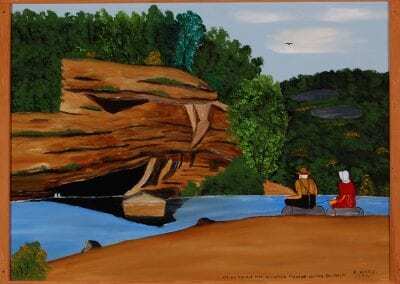 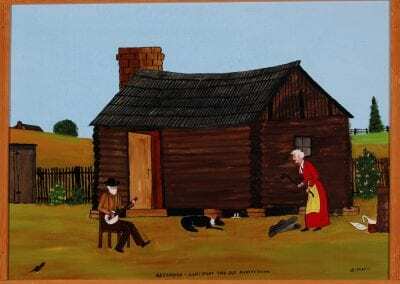 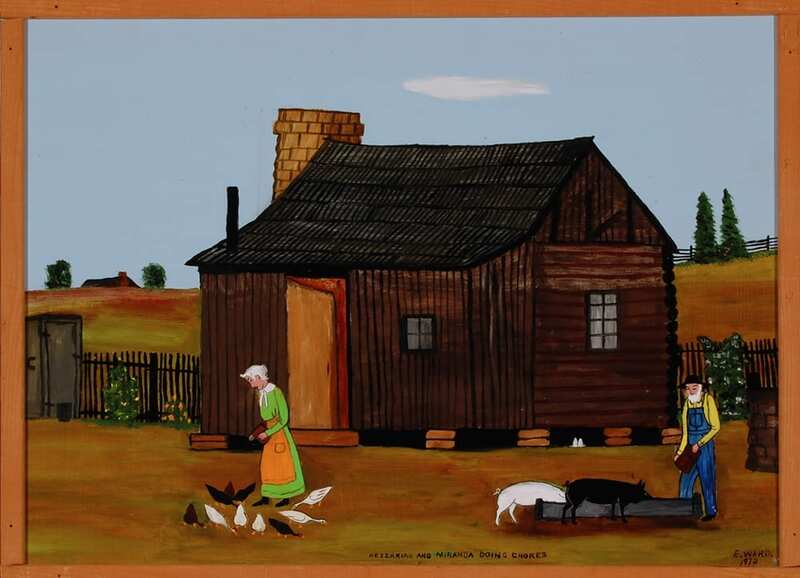 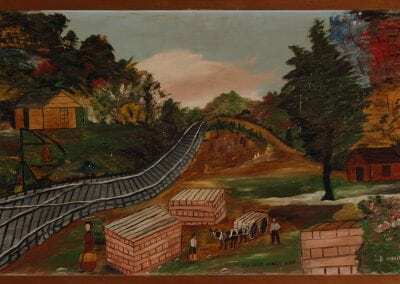 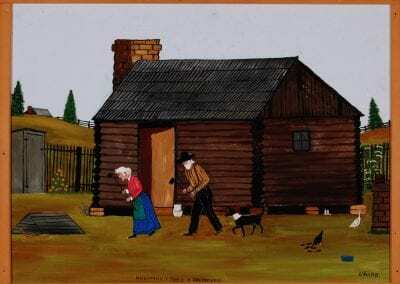 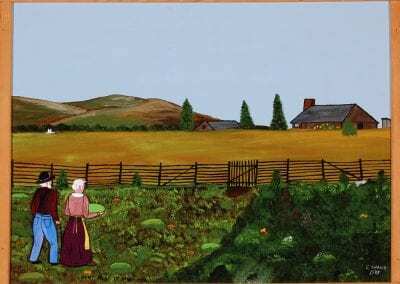 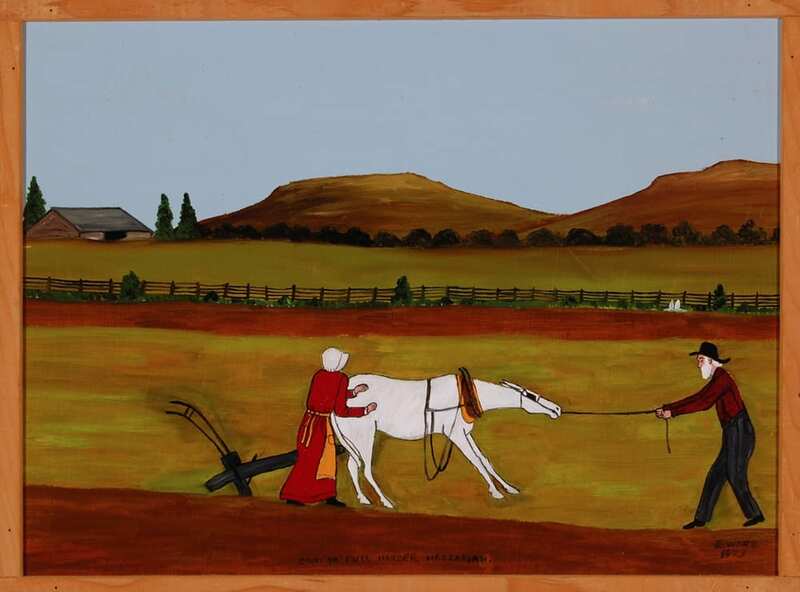 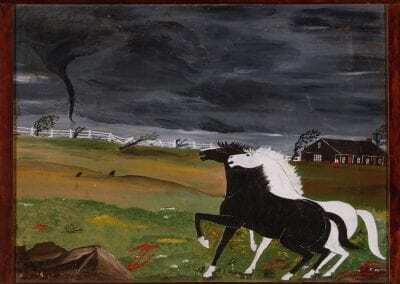 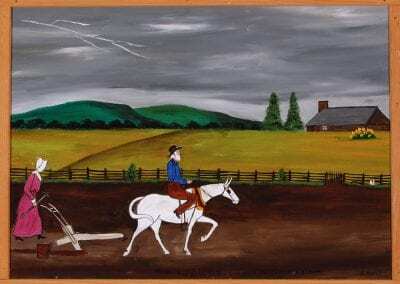 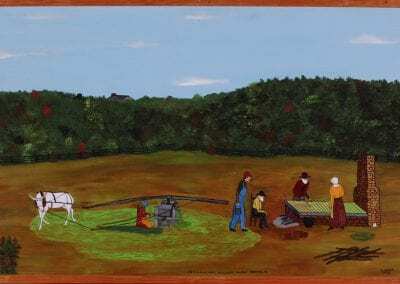 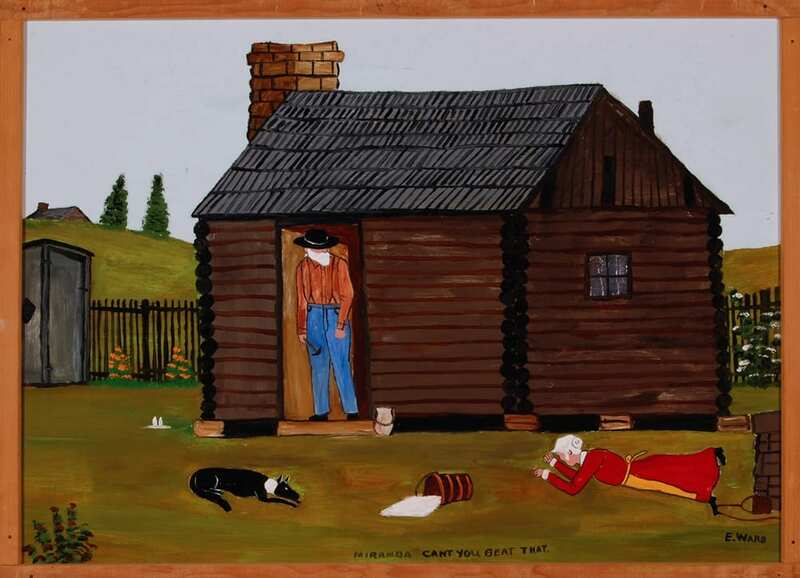 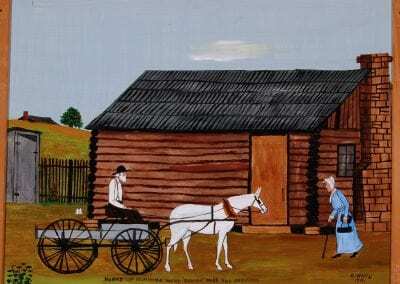 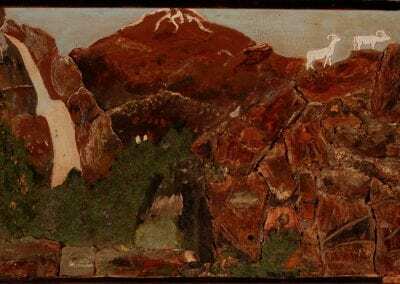 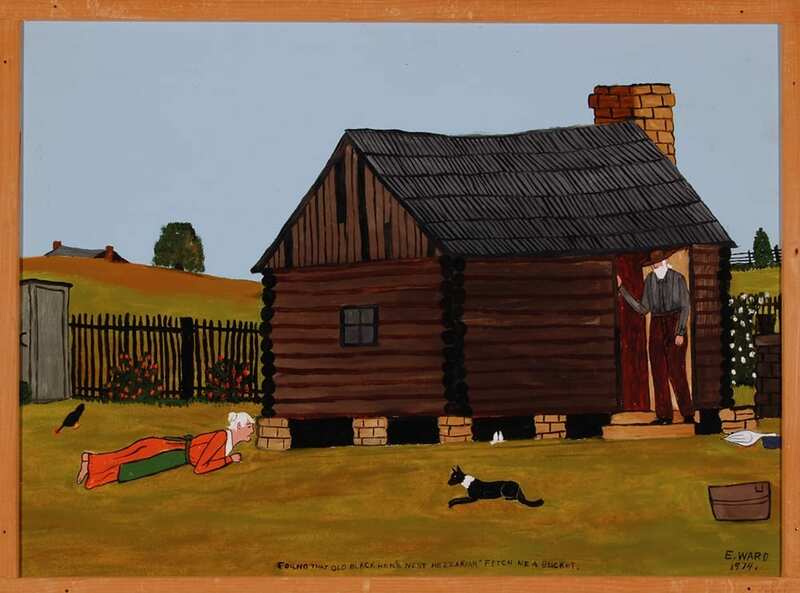 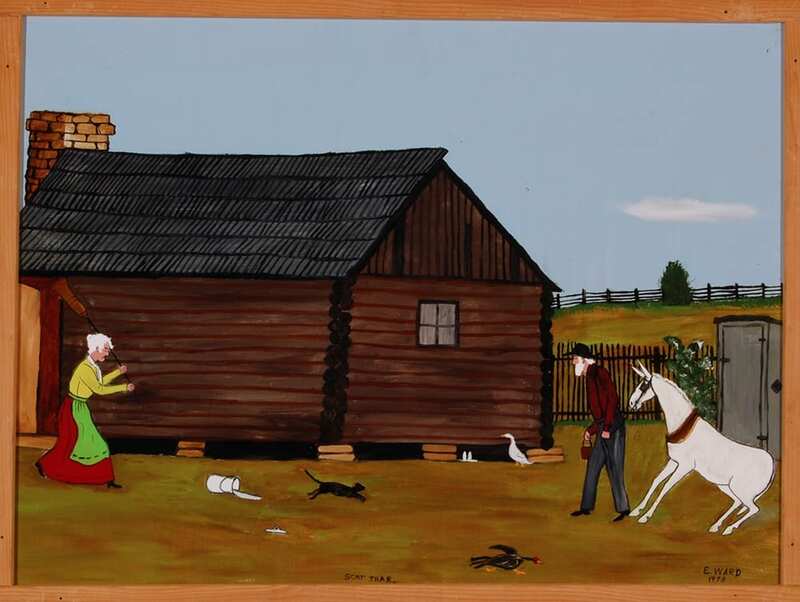 Folk artist Essie Treat Ward has been called the “Grandma Moses of the Ozarks.” Born in the Searcy County community of Nubbin Hill in 1902, Essie began drawing when she was a young girl. 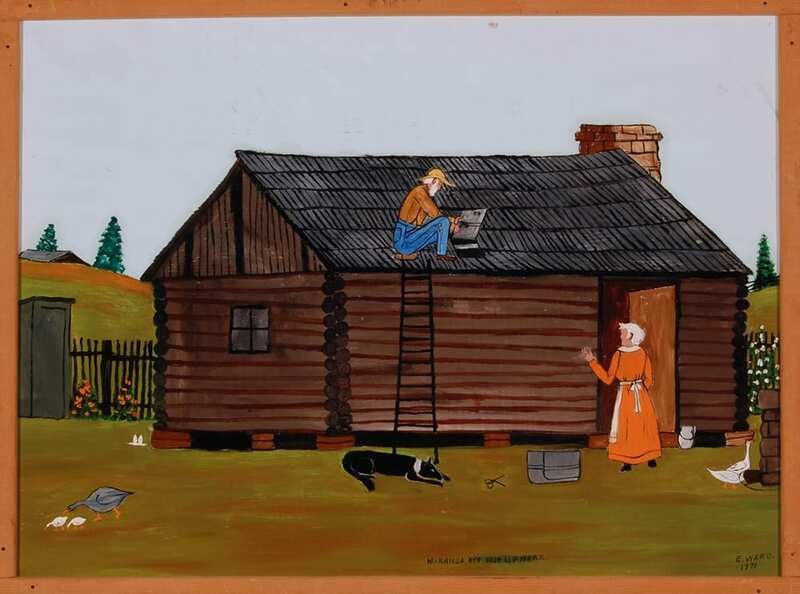 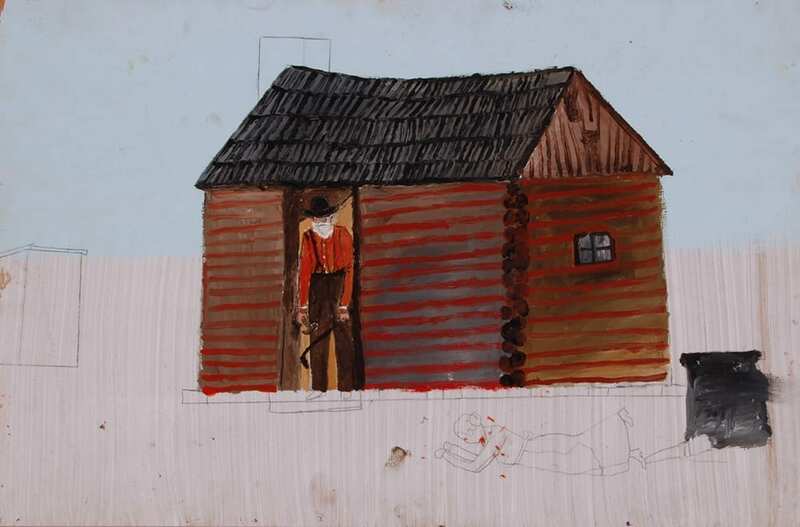 Throughout her life, she created drawings, paintings, toys, and sculptures—all without the benefit of formal training. 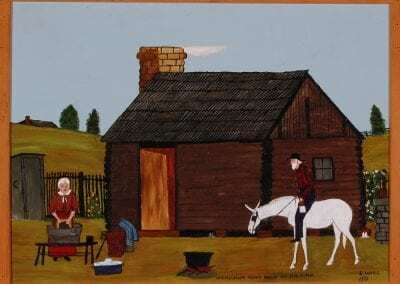 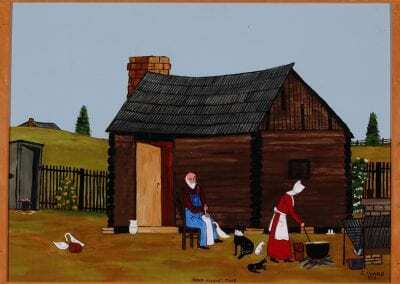 Hers was the life of a traditional Ozark woman. 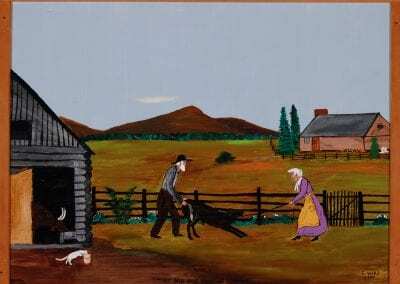 Essie married Jesse Ward in 1922. 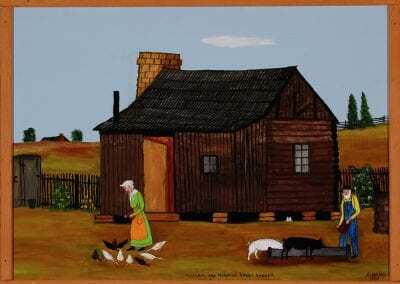 The couple raised chickens, hogs, vegetables, fruit trees, and seven children on a small farm near Marshall. 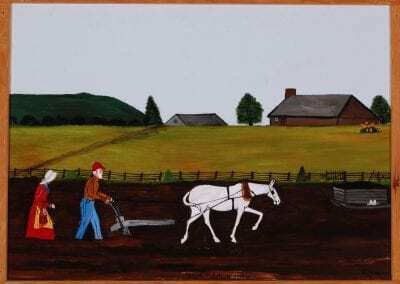 Much of the farm work fell to Essie when Jesse was diagnosed with diabetes. In 1959, Essie was diagnosed with cancer. 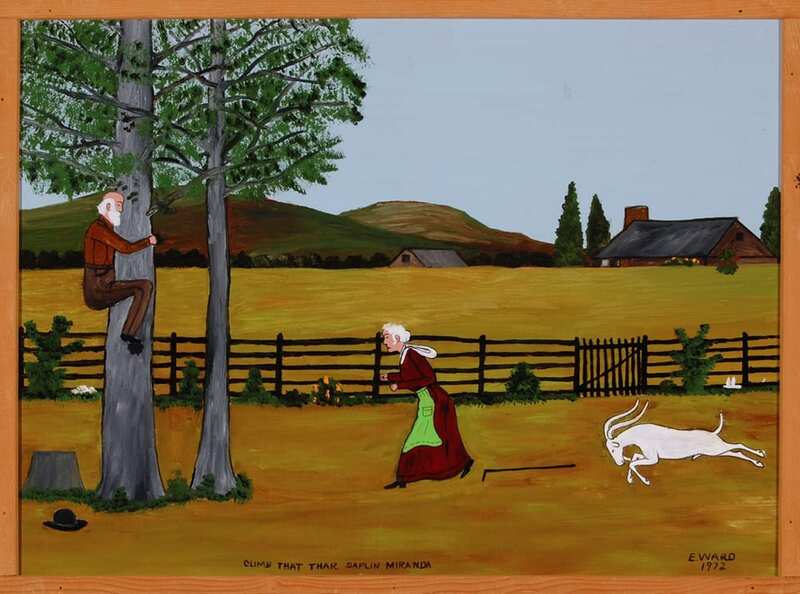 After an operation, doctors sent her home with orders to slow down. 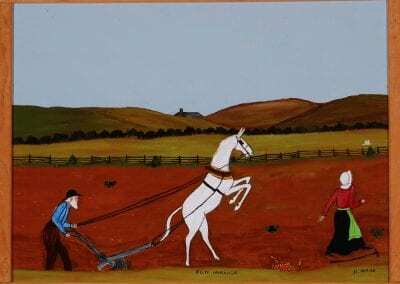 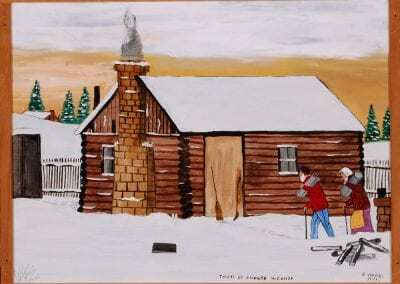 That’s when Essie put down the plow and picked up a paint brush. 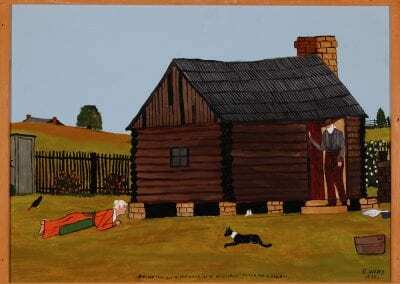 Miranda and Hezzakiah find themselves in all sorts of predicaments. 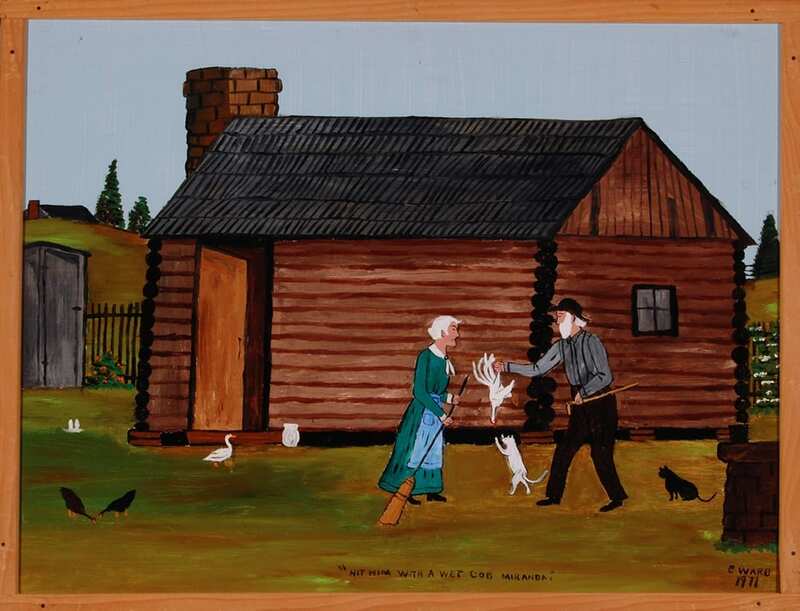 They are joined by a cast of characters, including farm animals, wildlife, and even ticks. The Miranda and Hezzakiah paintings became so popular that orders came in faster than Ward could fill them. 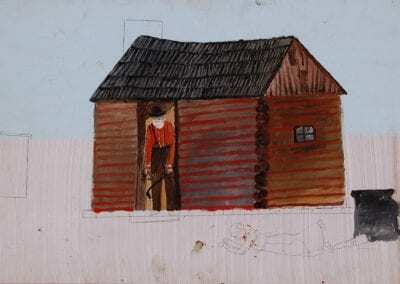 She painted on masonite, holding the board in her lap, with oil paints straight from the tube. 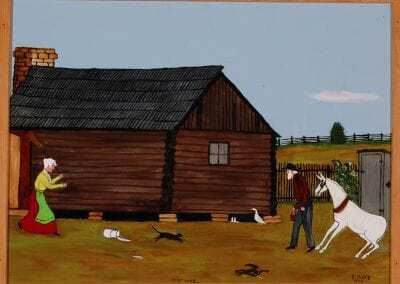 She usually finished one picture a day. 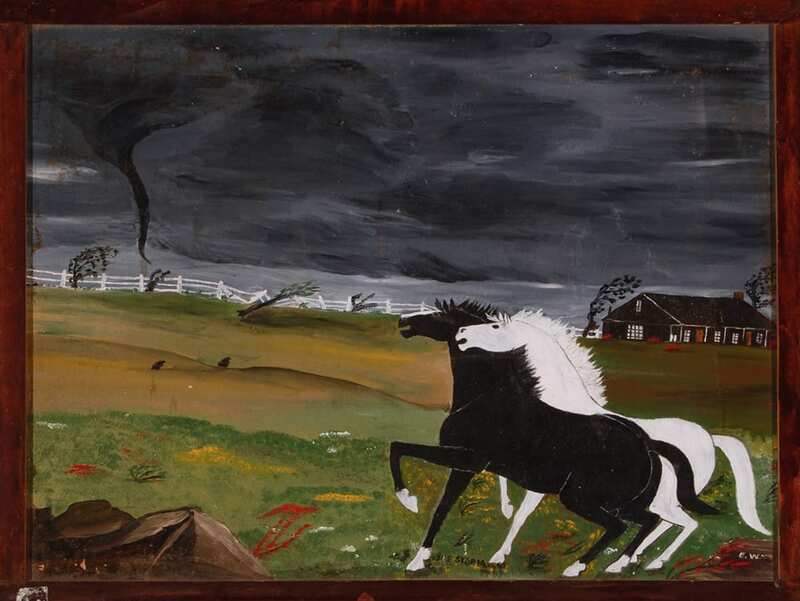 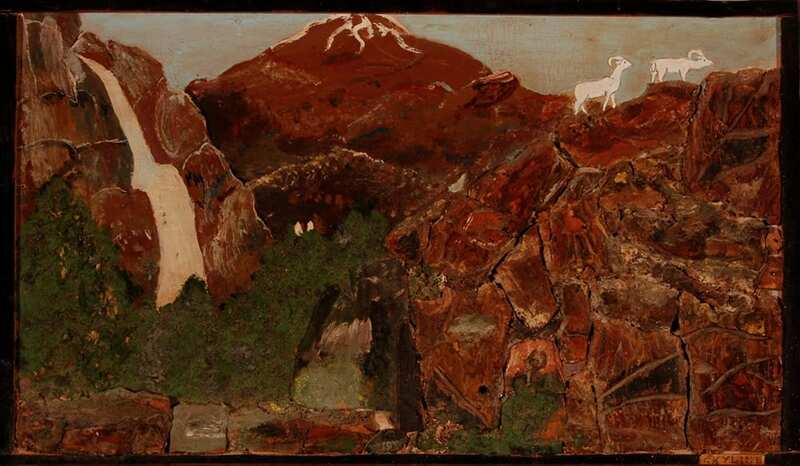 Although each painting is original, Ward developed a series of fifty-five different Miranda and Hezzakiah scenes, complete with landscapes shaded correctly for the season of the year. 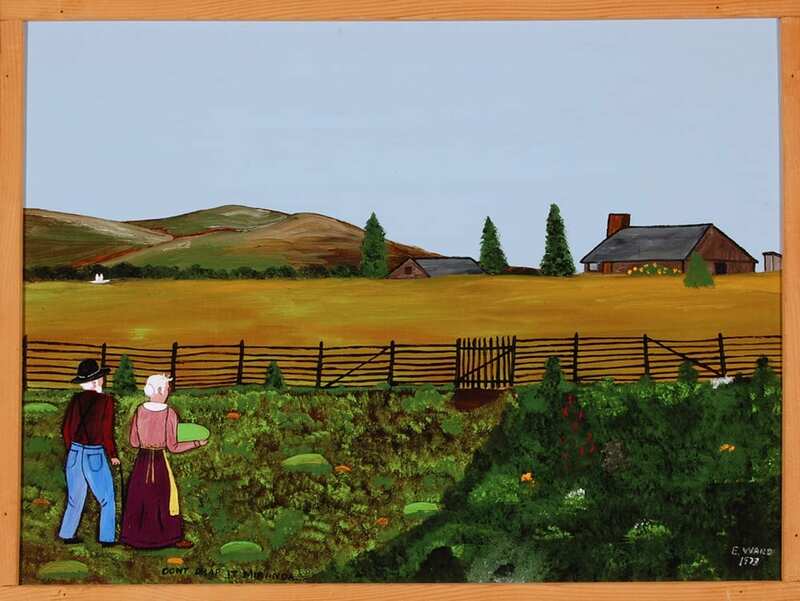 Customers selected one of the scenes when they placed their order. 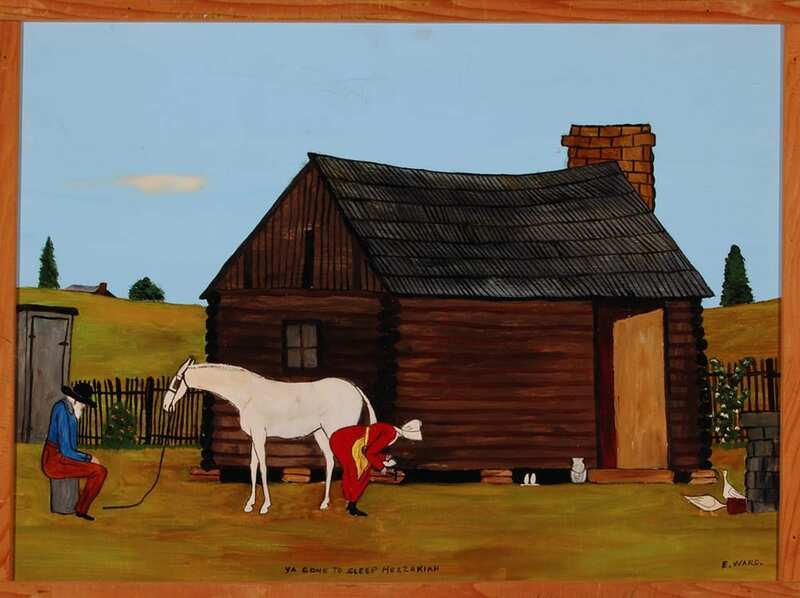 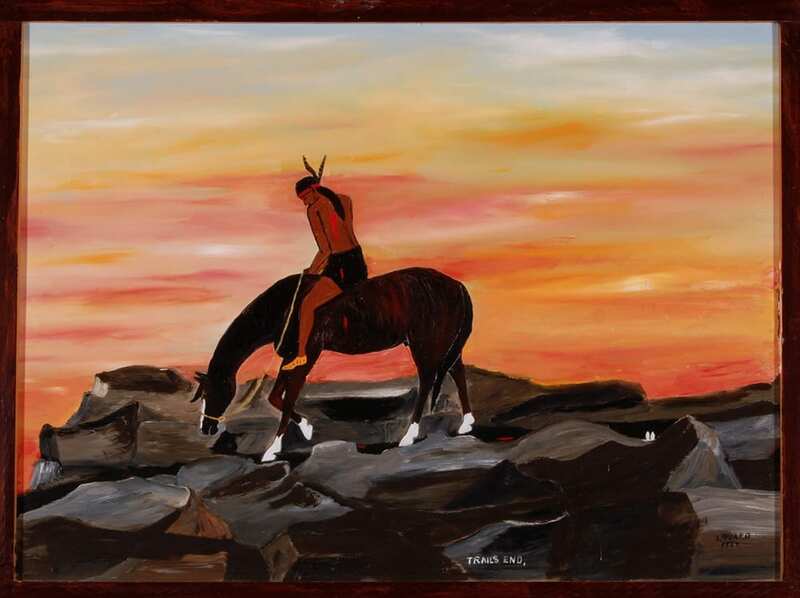 Ward’s trademark appears in every painting: two tiny white marks that resemble rabbit or mule ears. 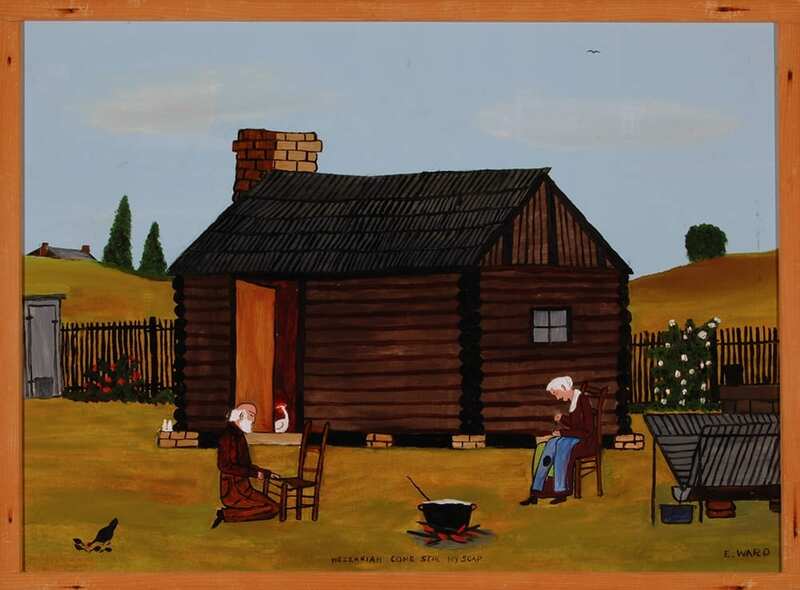 Fame came to Essie Ward in 1970, when she was invited to participate in the Smithsonian’s Festival of American Folklife in Washington, D.C.
Essie Ward lived all of her seventy-nine years in the hills of Searcy County. 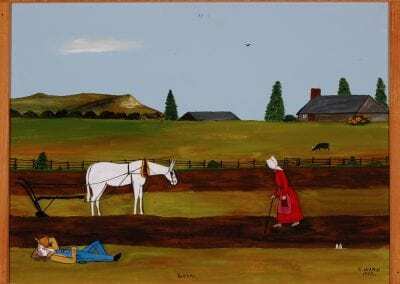 She died in 1981, and is buried at Canaan Cemetery in Marshall. 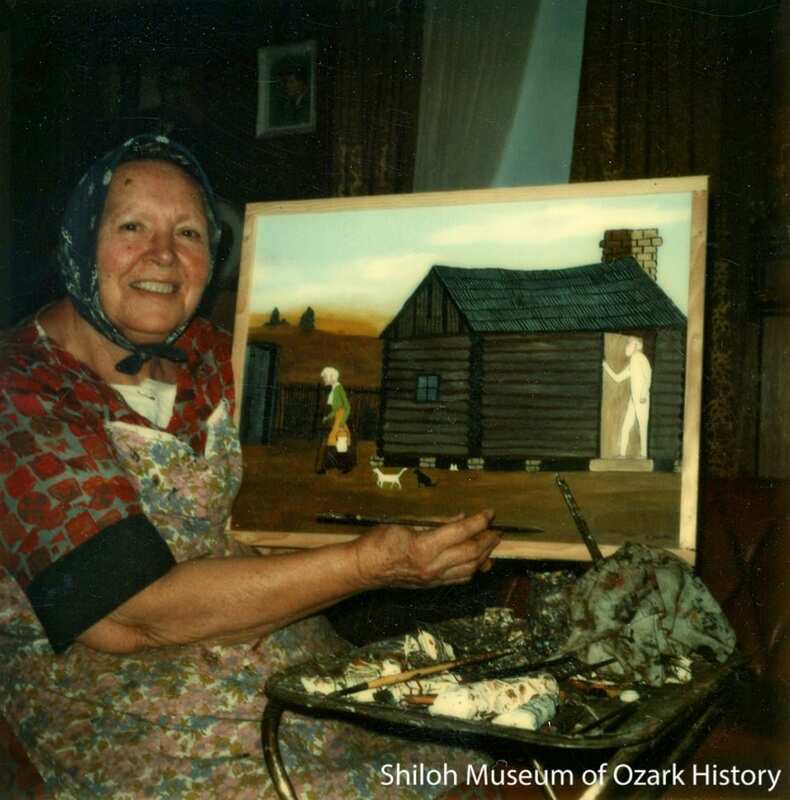 To learn more about the life and work of Essie Ward, watch a vidcast by Shiloh Museum outreach coordinator Susan Young (also available on YouTube and iTunes).